Candidly, I'm not super comfortable in front of the camera. Given the choice between being BTS or modeling, I will alllllways take the former. I love all of the intricacies that go into styling an event or shoot. However, I told myself that this year, I would push myself to say "Yes" to new opportunities and expand my horizons, in really any way. So when Rachel, of Rachel Lyn Events and Michelle of Light and Arrow Photography reached out to me on Instagram about being a model for their wedding shoot, I bit my lip, and just said why not? And I'm so glad I did. IT WAS SO MUCH FUN! A few weeks prior to the shoot, we stopped by Hitched Salon in Georgetown to try on a few dresses. Truthfully, I anticipated this to be awkward or surreal in a way. Was I really going to try on wedding dresses before I actually had a wedding? "Aren't you worried about the bad juju?!" my roommate asked. But honestly, I wasn't. It was so much fun and thinking about my own wedding is something I've put off for so long, that I still don't really know what dress will be "the one." So, I just had a great time with it. Here are a few that I tried on. This dreamy ethereal number by Reem Acra. I loved the OTS sleeves and the delicate details. Before the shoot, I got my nails done at my favorite, Varnish Lane and naturally picked out this Deborah Lipmann color. After I finally warmed up a little bit, I felt like I was finally getting the hang of it. The entire set team was so great and we had a lot of laughs. Want to see more? Make sure to check out the feature on Virginia Bride Magazine here! We love the idea of having a Fourth of July Party before the 4th. With everyone traveling and making their own plans, it's hard to get a solid group together for the actual holiday itself. When we read that Mackenzie Horan, from Design Darling did just that, we felt inspired to do the same well, next year! How great are these navy and white striped directors chairs? Pssst, these are on sale! 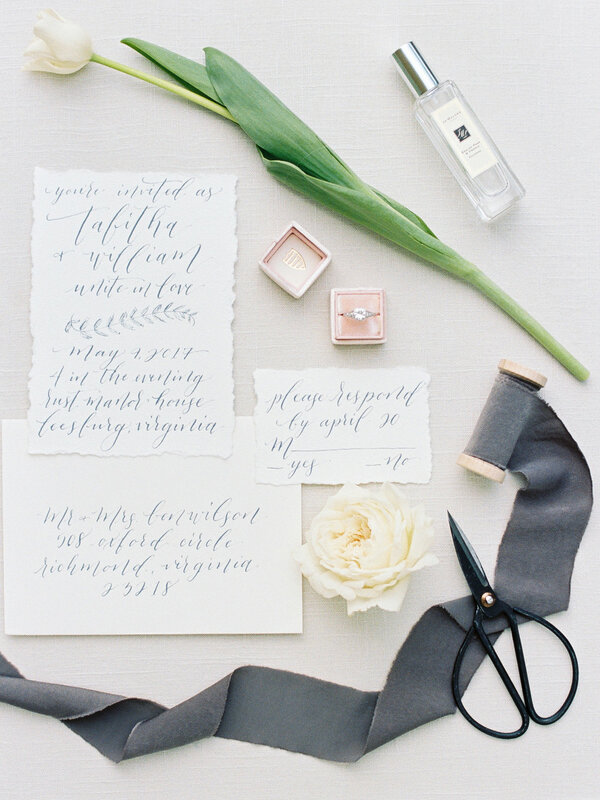 The custom calligraphy place cards add such an intimate touch. And how cute are these coup glasses filled with raspberries? Playful watermelon stars on a USA cutting board - check out these great state cutting boards my cousin makes! Ahoy and ginger jar matches line the table with brass candlesticks, tulips and peonies. Again, what a great set up! Happy 4th everyone! Last night, Kate Spade Georgetown was gracious enough to host a floral arranging event with Urban Stems and we had the best time. There's really nothing better than shopping for new earrings (we picked up a new pair of our favorite studs) while sipping champagne and admiring the new Spring Collection. Make sure to check out our favorites at the bottom of this post! Better yet, Urban Stems, our favorite DC and NYC floral delivery service, was there to show us how to make the perfect spring arrangements. Here's how mine turned out. Urban Stems brought tons of great flowers for the arrangements. This one included some anemones, yellow and pink ranunculus, some stock, and garden roses. Everyone's bouquets looked fabulous and unique. 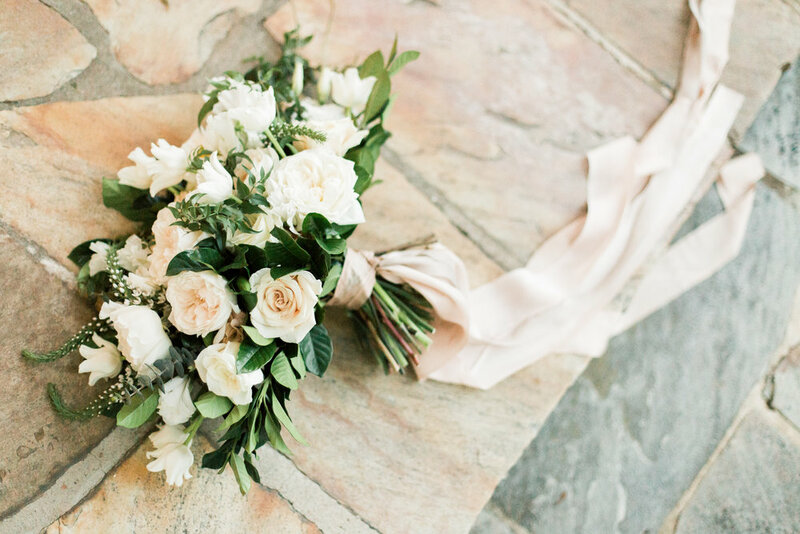 Here's a snap of my hands (middle left) working on my bouquet, courtesy of DC photographer, Taylor Kampa Olson. If you haven't yet, make sure you check out Urban Stems for your next "thank you" or "just because" flower bouquet. They are incredibly reliable and I've loved the bouquets I've been sent in the past (see here and here). One of my favorite things about Urban Stems is they send you a confirmation photo and email of the arrangement in front of the delivery address. Such a cool touch and a great way to ensure that the recipient got their flowers safely! 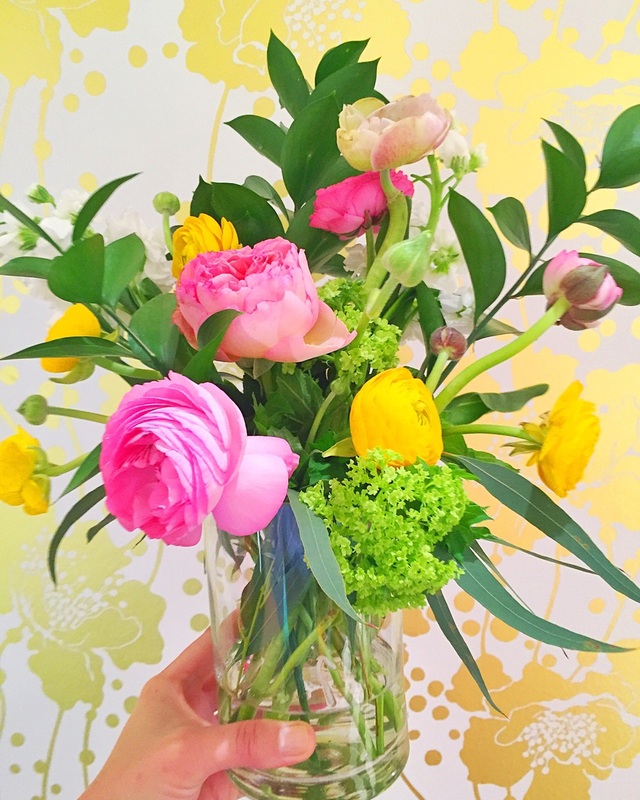 Make sure to use the code: HAPPY6403 for $15 off your next bouquet! I'm in love with The Jade arrangement pictured above. A big thanks to the gals at Kate Spade Georgetown as well. The store looked adorable as always. Now check out my favorites from the store! It's not every day you get to host a brunch for 30 of your closest friends. Last weekend, I had the absolute best time throwing a #BunniesWhoBrunch Easter celebration at Kellari Taverna here in DC! This was definitely an occasion where I owed a lot of my creative thinking to Pinterest. 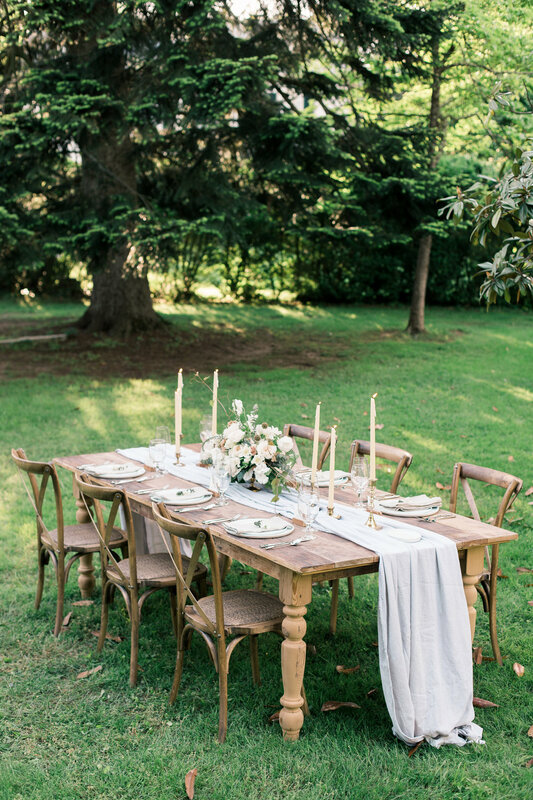 I found the most adorable Garden Party and Easter Brunch ideas. I snagged the adorable #BunniesWhoBrunch rabbit cut-out idea from Miss Mustard Seed. Next time, I must make them wit the roses and carnations. They are too too cute. Above all else, I absolutely loved the Free Printable Wreath Name Cards courtesy of Eleven Magnolia Lane. It was so easy using the template and PicMonkey to write my guests' names. The best part of all, was finding these adorable Bunny Place Card Holders from BHLDN. They couldn't have been more perfect for the theme. I had originally planned to get these circular moss placemats, but unfortunately, they wouldn't have shipped in time. These cabbage placemats from Pier 1 are just as perfect. In addition to their own wreath name cards and rabbit cut-outs, each guest had their own scallop egg cup with a hot pink hard boiled egg. Tip: Here is a great article on the Science of Dying the Perfect Easter eggs. Also, for those wondering, baking soda gets the dye right off your hands. For the centerpieces, I used a variety of vase heights and flowers to create a different look for each table. Apothecary jars were filled with water and twisted pink tulips. White hydrangeas were paired with cherry blossom branches in tall vases. Pink spray roses and white tulips were used to add both softness and dimension. In addition to the floral arrangements, I found these adorable moss rabbit figurines (similar) in the $1 section for well, $3 but a steal nonetheless! Large, medium, and small moss balls were added to the tables for whimsy. Last but not least, the stacked teacup candlestick holders from Zara Home really tied everything together.